I have been following the website development market for more than 6 years now and have worked with various companies involved in blogs, websites, and eCommerce development. Getting a website or web-shop of your own is not much of a problem these days. With the advent of Content management systems and eCommerce platforms, website and online stores are just a few clicks away today. But can it be said the same for mobile apps? Is it possible to create a mobile app without programming knowledge? Perhaps this would not hold true a few years back. But today, there is no scarcity of mobile app builders that can create a mobile app by simply dragging and dropping. 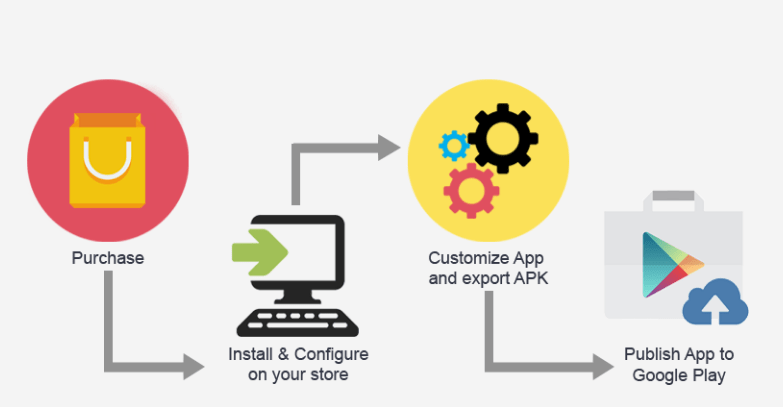 Moreover, there are app builders that can also create a synced app for your eCommerce site. I tested 8 such mobile app building platforms and have come up with a list of the same. Here I will be sharing my experience with these mobile app builders and mention what I liked about them. Good Barber is an excellent platform to build both the Android and iOS apps. The best thing is, you can manage every minute detail of your app without even coding a single line. You can also create an HTML5 app on this platform. With customizable design templates and more than 600 Google fonts, it’s very easy to personalize your app’s look as per your choice. With a well-organized Native mobile app, you will also get a free web, mobile version that you can link to your domain name to launch the official mobile version of your website. The quick preview option allows you to keep a track as you make the changes. You can also send the push notifications to your app users. It also offers a free 30-day trial to use it and then later you can upgrade to a paid plan. What’s best in it: The free mobile version of the app would be the best part. However, I also liked the customizability of the design templates. What needs improvement: They don’t have email marketing integration. So, you might not be able to capture your users’ email data and add them to your MailChimp, Mailigen or other email lists. They must add the feature to integrate the email marketing software. Pricing: They offer four packages which are billed yearly. ShoutEm is an app builder with a fully fledge content management system. With powerful user engagement tools and easy monetization options, you can expect your app to start returning on your investments very soon. You can integrate your app with most of the content sources such as Facebook, Twitter, WordPress, Foursquare and much more. The app can also be integrated with the popular Shopify platform and mobile advertising support will add to the revenue generation from your app. It supports all the major Ad Networks. What’s best in it: ShoutEm provides regular updates for its apps to keep them ahead of new Android and iOS updates. What needs improvement: It has only a couple of eCommerce options. The apps do integrate Shopify and show the catalog, but it requires external linking to check out and finalize the purchases. Appy Pie is a cloud-based DIY mobile app builder that provides some easy options to create a whole app without any programming skill. 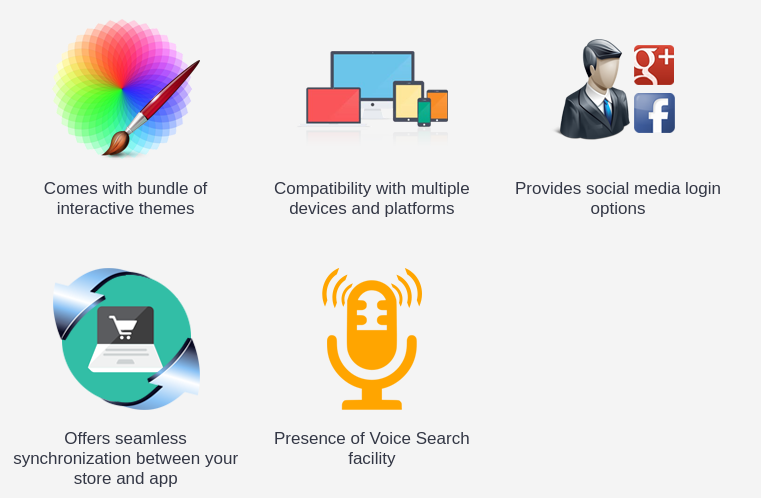 With Appy Pie, you can create the apps for your Windows, Android, and iOS users. You can also publish the created app on the respective app stores. Being a cloud-based tool, it does not ask you to install or download anything to use it. Just the simple drag and drop features to create your own mobile app online itself. Once your app is complete, you can also receive a hybrid HTML5 app that can be used on Windows, Android, iOS and even on Blackberry phones. You have the option to monetize your app using AdSense and send push notifications to the users. It also allows you to see the live app analytics, track GPS location, integrate social media feeds etc. What’s best in it: I liked the multiple integration options for AdSense, social feeds, live analytics, websites and much more. What needs improvement: The templates seem a little outdated. I think they need to update and add new templates. 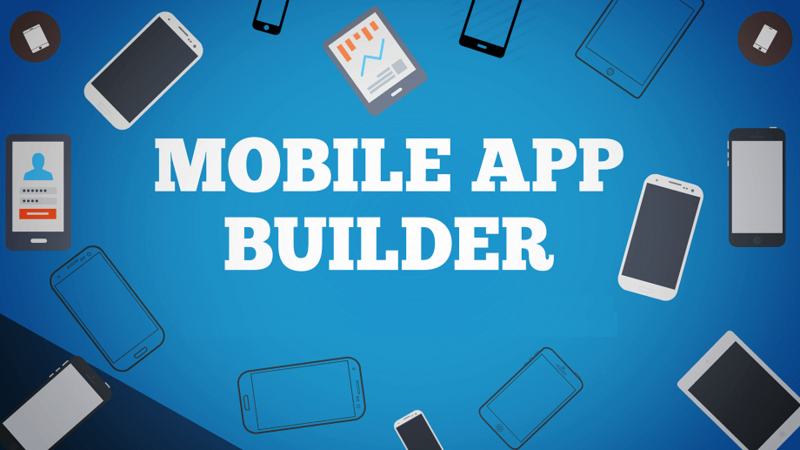 BuildFire introduces a better way of building mobile apps. BuildFire’s mobile app development platform is easy to use, quick to configure and extensively customizable. Build your app through visual components with ease using our intuitive app control panel. Take control of your app without the need to involve developers. With BuildFire we take care of all those complicated parts so you can focus on your business goals, not running a team of developers. What’s best in it: I personally loved how we can make development changes on the fly and test those changes in real time. What needs improvement: They are not providing ‘RSS Based Push Notifications’ in the Basic plan. AppMachine is one of the easiest website builders used to create and design professional native apps for Android and iOS. The Lego-style building blocks of the editor make it easy for the non-technical users to keep building the App with a fun factor included. The same building blocks also let you link your app to the Facebook, Twitter, or the online stores. You have the full control over the design of your app where you can choose your navigation paths, colors, fonts, and icons etc. You can also watch your app creation progress in the previewer test your app as you build it. Once completed you can publish your app on the Play Store and Apple App Store respectively. What’s best in it: The best part is the ease of use. Even a beginner can easily create an app without any hassle. What needs improvement: They have not included the HTML5 app creation in the tool. It’s a big lag as compared to other mobile app builders in the market. One of the most popular and largest App builders in the UK, AppInstitute has flourished quite considerably in the App maker market. The best thing that makes AppInstitute better from other eCommerce related App makers is its highly customizable catalog options and ability to process the checkout without leaving the app interface. Unfortunately, you can only sell the products and services updated on the app’s catalog only. That means you cannot integrate your eCommerce store with the app. Most utilized by the booking services this app provides the forms to your customers to book for different services and events like a haircut or a charity event, restaurant table booking etc. You would be surely impressed with its loyalty management where you can offer your users with stamp cards, discount coupons, loyalty points etc. What’s best in it: The in-app checkout and payment are one of its plus points that make it better than others. What needs improvement: They must include the eCommerce store integration. It would be a super plus point with them in-app checkout feature. This app builder is quite different from the rest of the app builders in my list. 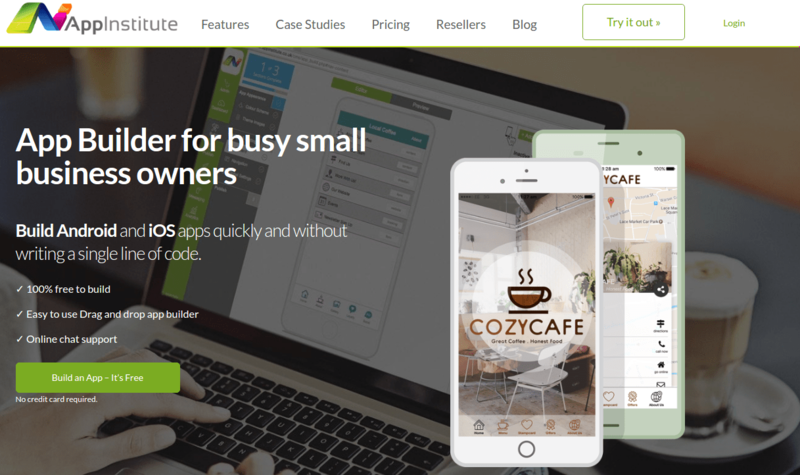 It’s not an instant app builder and is for those store owners who own a PrestaShop based eCommerce store. It gives you an Android App developed specially for your PrestaShop store by the expert Android developers of Knowband. This app remains in constant synchronization with your eCommerce site. That is, if you make any change in your store’s catalog of your site, it will automatically reflect on your app too. Your customers can browse all your products, add to Wishlist, add to cart, and process checkout and make payment without leaving the app interface. Moreover, it displays all your store categories on the app itself. 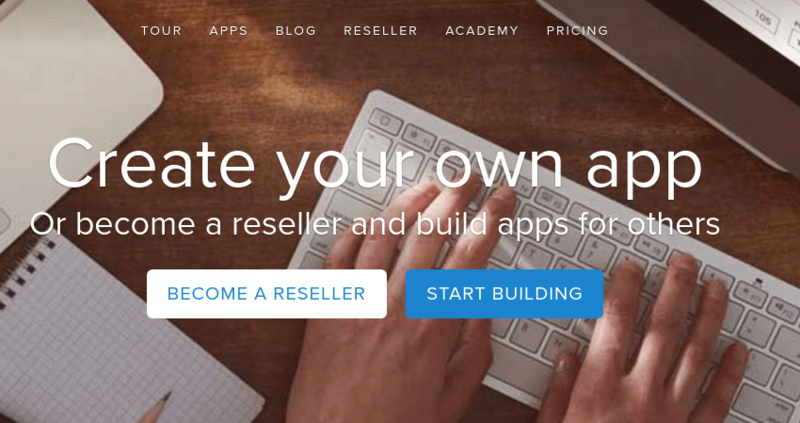 This app builder is more like a service than a software. Here, as soon as you purchase this app by making a one-time payment, the developers will contact you asking some details regarding the app. For example, you will need to provide your Splash Image, App Icon, Website URL, Website Name, theme choice, and desired social login options. After getting these details, the devs will develop the Android App for your store and provide you the Apk file. You can publish this Apk on Google Play Store or can ask the developers to publish it under their account with an extra payment of $100. That’s it, now you have a fully customized and native app for your PrestaShop store without actually doing anything from your side. Everything is done by the developers only. What’s best in it: The app is all coded by the expert developers and it stays in complete sync with your online store. It’s a complete eCommerce app like you see on the Amazon’s app. Also, you don’t have to pay monthly or yearly, it’s a onetime paid service. What need’s improvement: They must include some more social login options. Currently, only Google and Facebook are the only social login options there. This app builder is quite the same as one mentioned in the previous point. Except it is for OpenCart based eCommerce stores only, rest are all same. If you own an OpenCart store and wish to have an Android app that you can distribute to your customers, it’s one of the best solutions you can try. Both the App builders also have a free trial version that you can instantly download and test on your eCommerce store. You will just need to download and install a free Web-Service module on your store. After that go to Play Store and install the free demo app on your phone where you can enter your store URL to see how your store will look as a mobile app. What’s best in it: Of course, the one-time payment option to get a fully-fledged eCommerce app is the best thing that I liked. Moreover, the free option to test before purchasing the paid version is quite impressive. What’s need improvement: They must include some more themes. Currently, only 4 color options are there. So there are many mobile app builders are available to help you build an app quickly, on your budget, and with no coding knowledge required. How to Choose Your Email Marketing Software for Your Business?